Cancer survivors have to be EXTRA careful in the sun. But when the Sun comes out there can be a problem. We have all become used to slapping on the sun cream. But now we are told we must allow our skin to be exposed to the sun’s rays, to get enough Vitamin D! All sun exposure causes some damage to your skin. Usually, your body is able to repair the damage if minor. However, if the damage is severe, this becomes increasingly difficult. So people have been slapping on thick sun cream to ensure protection, but this has the downside that we don’t get enough Vitamin D. In extreme cases Ricketts have even made an appearance. So it makes sense to collar your Breast Care Nurse or dermatologist and ask them how much exposure you should take, and what you should do to protect your skin. It is impossible to give a precise definition of “too much sun” because this depends on personal characteristics such as your skin type, the strength of the sun, and your location (ultraviolet index; UVI). The amount of damage increases with longer duration of sun exposure, and the damage will be more intense if exposure takes place when the sun is very strong, usually between 11:00 and 15:00, and in the summer months. For example, at a UVI of 6, which is easily reached at noon in spring and summer, a person with skin type 1 or 2 (pale British-type skin) will suffer from sunburn in 10–15 minutes. Beware. Friends who are Black think they don’t need to wear sunscreen, but you do! I am not medically qualified, but I was told you have to wear protection because skin becomes accustomed to the climate where you live. One non-scientific test you could try is to feel your skin – the moment it starts to heat up slap on more sunscreen or get in the shade. And just to add to difficulties, if you are lying in the shade, the sun’s rays can reflect off concrete, sand etc. and still burn you, especially reflecting off the sea. The British Association of Dermatologists (BAD) say everyone’s skin is different, and to ask your GP for advice on exposure. Everyone whom I consulted said SLAP ON THE SPF (sun protection factor) creams and lotions. The higher the SPF number the longer and better the protection, provided it is a genuine number. Don’t ever buy off a street barrow or anywhere suspicious; unless you have a lab at home to test, you won’t be able to verify a cream promising a high SPF. Make sure that you protect the most frequently exposed parts of your body, such as your face, neck, and hands. Take a beauty tip from just about every Beauty Consultant standing behind the counter of a smart store; they will wear a cream with SPF even in the depths of winter, knowing this will preserve their complexion. If you are sunburnt, you have certainly been exposed more than is safe. However, even before you become sunburnt, you may have been excessively exposed. Frequent sunburns, especially during childhood and adolescence, are related to a marked increase in the risk of developing skin cancer later in life. But all exposures to ultraviolet (UV) radiation, at any age, increase your risk of skin cancer. 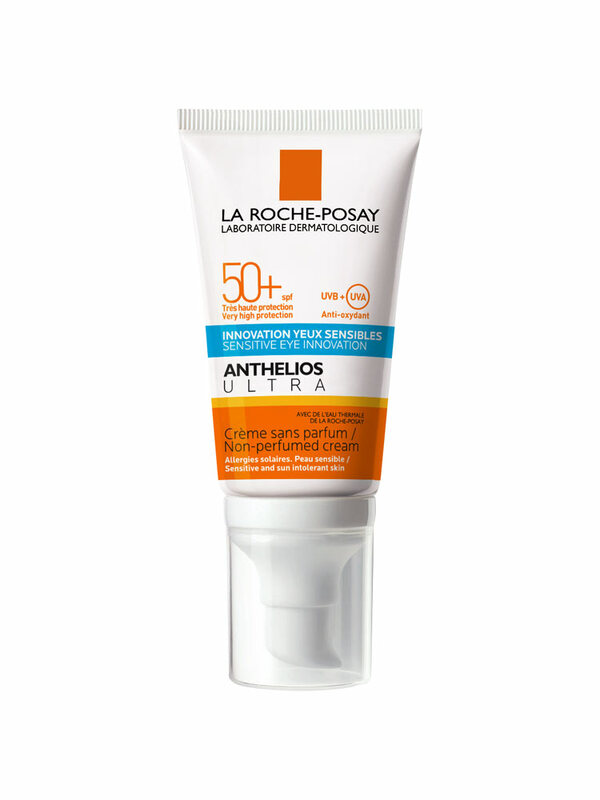 Many dislike the way that sunscreen often sits on the skin as a white layer, but I have been trying out Anthelios, the cream developed by La Roche Posay in the French skin centre. Currently Amazon has products in this range on sale (hence the red writing by product info below). Anthelios creams sink in, and they have a new Sensitive Eye Innovation cream, said to reduce fine lines and puffiness. As it has a protection factor of 50+ this is ideal for summer, so you can use it to protect that fine, thin skin under the eyes, where lines appear before and other area. There is a certain TV Travel show presenter who has spent a lot of time in the sun; every time I meet her I cringe when I see the deep lines in her face, caused by sun. If you want to keep you skin smooth, DO wear protection. Especially the newest Anthelios one, Sensitive Eyes; as it name suggests,it is for the most vulnerable area around the eyes, and will guard against those deep cracks appearing on your face. The range is developed by La Roche Posay, by the French who are acknowledged to have probably the best skincare in the world. I counted up one day, in an idle moment (as one does) and found 90 recommendations for this company from doctors and hospitals around the world, so they must know a thing or two. Apply this before you go out in the sun. If going to be out for the day I always take the tube with me to reapply as needed. Having got that sorted, this lotion has a high SPF, but if you are swimming, or out in the sun all day, you will need to re-apply. This is a very light lotion which you pat carefully under your sensitive eye area. I know a many Beauty Consultants use this year round, even in UK, as a way of protection the skin’s youthful bloom. It’s designed to protect the sensitive skin under the eyes, which are usually the first to show wrinkles. When you I pat it on, I continue patting it in up around the area to the side of the eyes, which is also prone to wrinkles. Although it’s the usual Anthelios packaging, you will know immediately that it’s the eye cream as it is a very light lotion, but it does the job and protects mine from sun wrinkles. Vitamin D is essential for bone health. The sources of vitamin D are diet and sunlight exposure, with sunlight being a major source in most people. However, the ultraviolet radiation in sunlight is the main cause of both melanoma and non melanoma skin cancer. 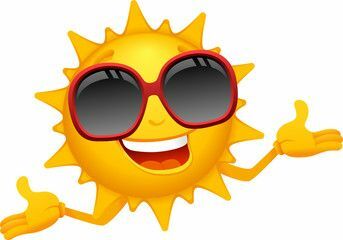 The sunlight exposure time to make significant vitamin D varies according to a number of environmental, physical and personal factors, but is typically short and less than the amount of time needed for skin to redden and burn . In fact, long exposures can break down vitamin D, reducing benefit whilst increasing risk of skin cancer. Casual brief sun exposures, while taking care not to burn and avoiding deliberate tanning, can help the body become vitamin D sufficient. Apart from oily fish, natural foods contain little vitamin D, but it can also be obtained through fortified foods and vitamin D supplements, the latter being particularly needed in those at risk of low levels. Presently, there is still uncertainty regarding vitamin D, including what levels qualify as “optimal” or “sufficient”, the risk/benefit balance of sunlight in people of different skin types and colours, whether vitamin D protects against chronic diseases such as cancer, heart disease and diabetes, and the benefits and risks of widespread supplementation. These and related areas are currently under review in the UK. Population groups at particular risk of low vitamin D include pregnant and breastfeeding women, young children, older people, darker-skinned people, those who wear whole-body coverings or live in institutions. The Government currently recommends these groups take a 10 microgram (400 iu) vitamin D supplement a day (7 micrograms a day for children 6 months – 5 years)1,12. Currently in the UK there is no recommendation for widespread vitamin D supplementation for the general population. Unlike vitamin D produced in the skin, which is biologically regulated, there is the potential that vitamin D from supplements and fortified foods could build up to high levels.